This high-quality satin black aerosol stove paint from SBI is the absolute finest stove paint available. It's like having pro-level paint at your fingertips. This aerosol stove paint features convenient spray application, saving you time and allowing you to get your stove painted and move on to the next maintenance task for your heating appliance. It adheres well and dries quickly, retaining its color extremely well over time. 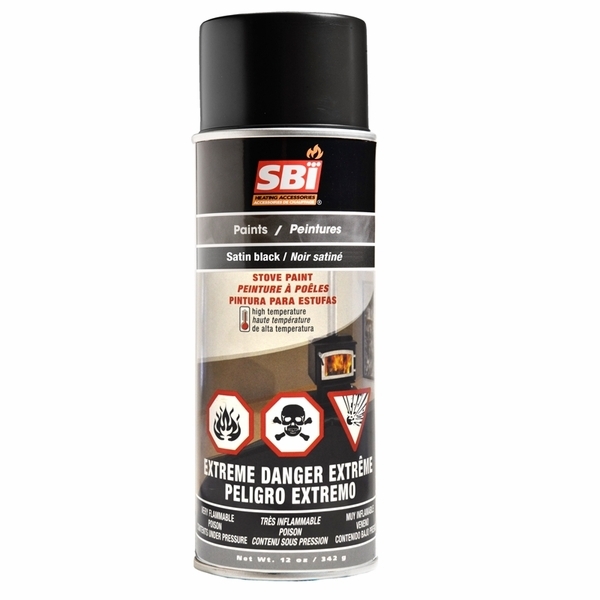 choose the finest aerosol stove paint available with this fine satin black paint from SBI. This is rated for up to 1200 degrees.